Looking for a controller to play your fighting games such as Virtua Fighter 5? 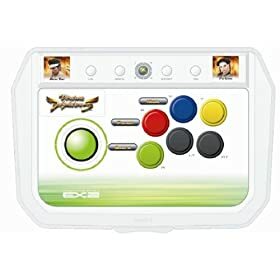 Then look no further than the purpose built Virtua Fighter 5 EX2 Fighting Stick Controller which is perfect for fighting game fans. Taking a step away from the standard xbox 360 controller this controller will give you a fighting chance and has the feel of an arcade machine with it’s large buttons and features such as turbo buttons.